One teenager was found dead and another unconscious in the Fort Lewis Army barracks near Seattle Monday. 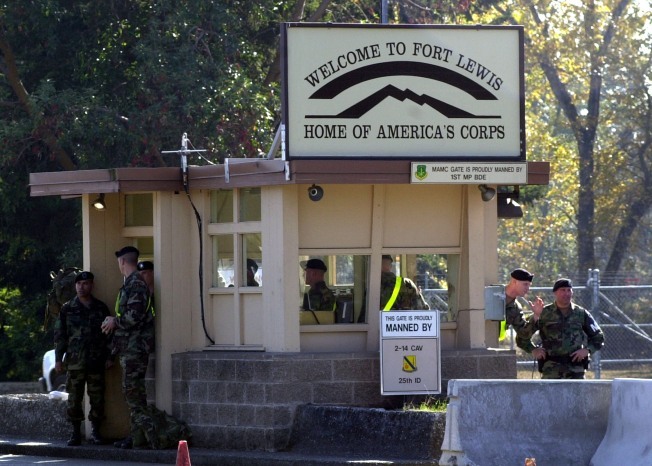 FORT LEWIS, Wash. — A 16-year-old girl was found dead and another teenage girl was discovered unconscious in a barracks on this Army base south of Tacoma, the Army said Monday. In a statement issued about 36 hours after base emergency personnel responded to a 911 call early Sunday morning, Fort Lewis spokesman Joe Piek said a Madigan Army Medical Center doctor declared one girl dead at the scene. The second teen was taken to Madigan for emergency medical care and was reported in stable condition Monday. There were no outward signs of physical trauma on either girl, Piek told The Associated Press in a telephone interview Monday night. He said Army doctors at Madigan were performing an autopsy on the dead girl, but results might not be available for at least a week. The Army is investigating what the girls were doing in the barracks and whether drugs or alcohol were involved, he said. The presence of the two civilian girls "in the barracks at 3:30 a.m. is likely a violation of any of the units' barracks visitation policies," he said. Civilians entering and leaving the base are supposed to be carefully tracked. A civilian entering the base has to show ID, Army spokesman John Norgren told the Seattle Post-Intelligencer, adding, "You have to have a reason to be on the installation and you have to be sponsored" by a member of the military on base. "It's quite a comprehensive system," Norgren said. Piek said the Army would not be releasing the names of the girls because they were minors and civilians. The Fort Lewis Criminal Investigation Division was investigating both the circumstances and cause of death. A Fort Lewis soldier who was "allegedly acquainted with the two girls" has been questioned, but no arrests have been made, Piek said. The Army didn't release information about the incident until Monday because it took place during a holiday weekend and officials needed to notify the teens' families, the spokesman said.